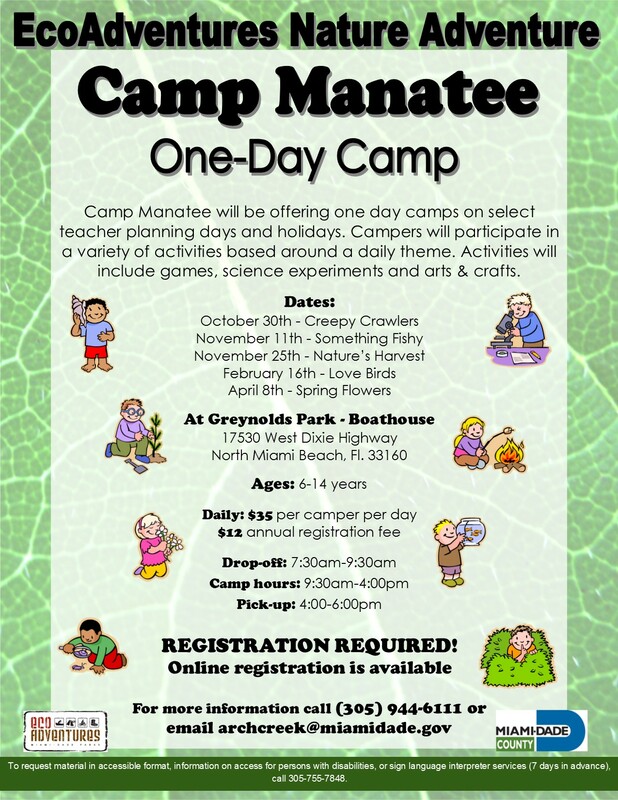 Camp Manatee will be hosting one-day teacher planning day camps on Tuesday, February 16th and April 8th, as well as Spring Camp on March 21st – March 25th. Space is limited and online registration is available. We are now requiring registration no later than a week before the camp either online or by phone for all one day, winter and spring camps. Online registration links are below for your convenience. If you experience any difficulty registering for the camps, please call or email Aimee. Relive the 1800’s when families from the nearby communities (North Miami), would come to the historic limestone bridge to have picnics, boating on the creek, explore ancient trails through the nearby tropical hammocks, play folk music., or just relax under the shade of live oak trees. There will be guided trail walks with people in period costumes, offering live wildlife presentations, pioneer games for children, and live folk music being played on the outside veranda of the museum. Hot dogs and lemonade will be available for purchase. Sponsored by the Arch Creek Trust, you won’t want to miss this! For more information, please call or email the park at 305-944-6111 or archcreek@miamidade.gov. Venture into the beautiful Tropical Hardwood Hammock with a naturalist guide and discover the marvelous nocturnal life of the park at dusk. Experience the sights and sounds of eastern screech owls, raccoons, night time spiders and much more. Following the night hike, join our naturalists around the campfire for marshmallow roasting. Only offered October through May). 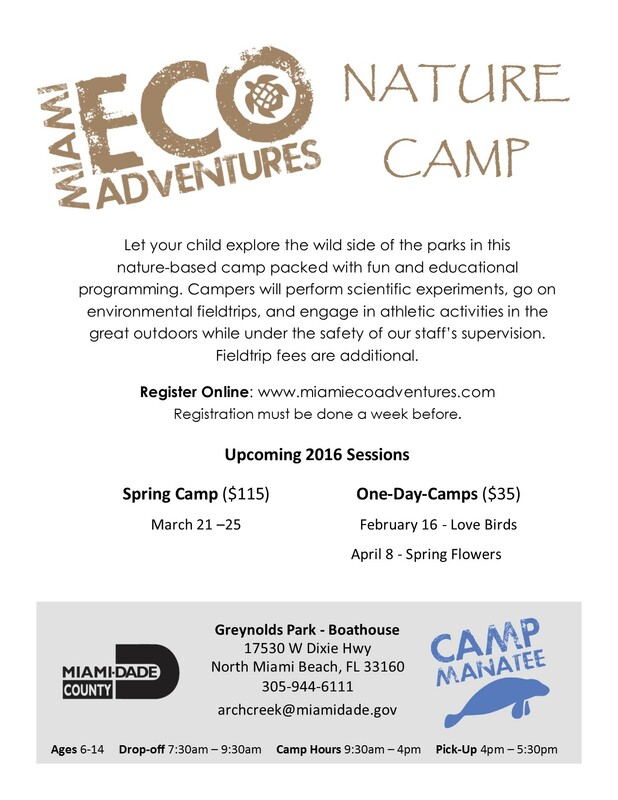 Meet at the Arch Creek Museum & Nature Center, 1855 NE 135 Street, North Miami, Fl. 33181. This program is offered the 3rd Friday of every month (October through May). 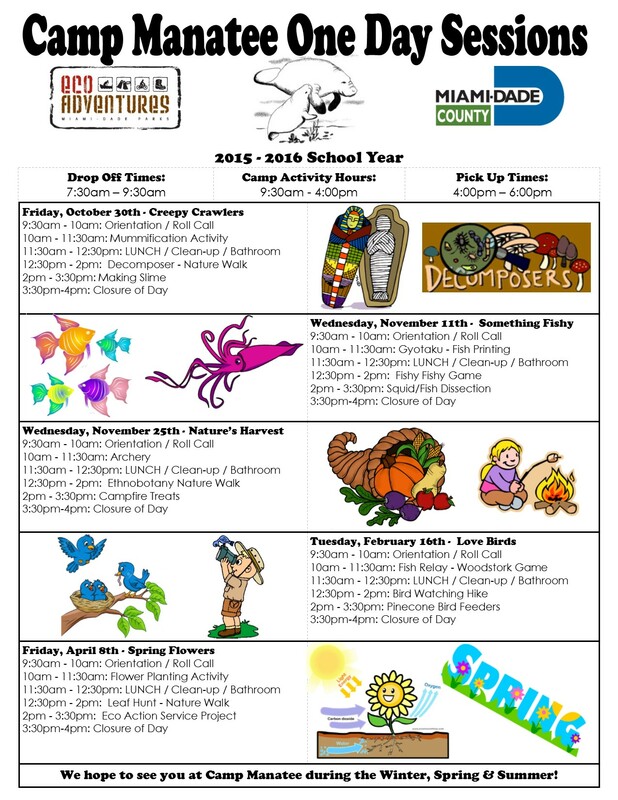 We will be partnering with the South Florida Wildlife Center during our Campfire programs. When available they will be releasing rehabilitated animals. We are very excited that we be releasing a rehabilitated adult Eastern Screech Owl during our October 16th program. Explore into the dark woods of haunted and historical Arch Creek Park and hear stories of paranormal experiences, while discovering the evidence captured by seasoned investigators. Park Rangers team up with Messengers Paranormal to guide you through the gripping history of the park and ghost stories around the campfire. Experience the chilling sounds of the spirits and see for yourself a haunt like no other! This is a walking tour into the woods, so be sure to dress comfortably and wear closed-toe shoes. It is not recommended for small children, (suitable for ages 8 and over), as there may be mature subject matter. We recommend bringing insect repellent and any tools you wish to use in the capturing of your own paranormal evidence, (i.e. 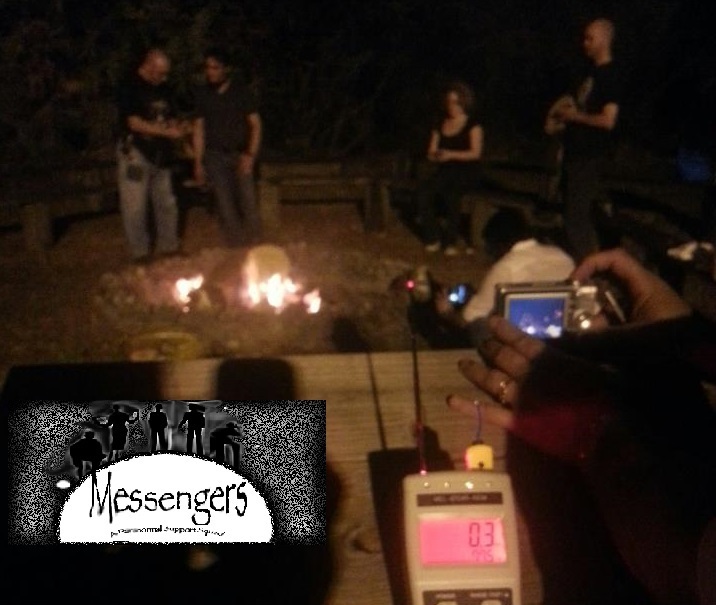 ; digital cameras, voice recorders, video cameras, dowsing rods, EMF detectors, etc..) Campfire snacks and water are provided by volunteers of the Messengers Paranormal team.